As this review was being prepared, many Long Islanders were making eclipse party preparations. A few days from now (August 21), eclipse mania will be just a memory. The same won’t be true of Tommy Emmanuel. The guitarist’s orbit, while reminiscent of a solar eclipse crossing across the nation — given the streaking path of the artist’s touring hyper-schedule — offers a more enduring, rediscoverable pleasure. A year later, thanks to some savvy programming by Executive Director Laura Mogul and the folks at Landmark, another viewing became possible. Unfortunately for the sake of modesty and temperate prose, the aforementioned Emmanuel blazing and amazing continued unabated in the summer of 2017. For readers hoping not to discover more praise heaped upon an already much-loved, easy-to-love performer — well, disappointment shall be their fate. It is possible that few in this audience knew of either Price or Jones. Both artists have amply vetted Wikipedia pages, which suggests they are well known in Emmanuel’s native Australia, and probably best known to US-based ex-pats. Yet both Price and Jones are experienced, emotionally genuine performers in the mold of Tommy Emmanuel — certainly willing to test his kinetic firepower — Though in this era of superpower braggadocio avoiding a one-on-one battle of the bands against Emmanuel might be the better part of valor. 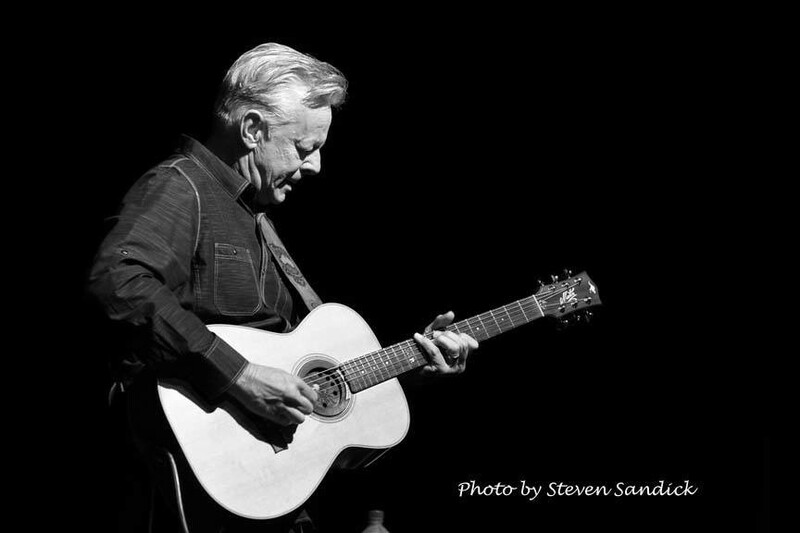 It is partly due to the wildly dominant worldwide popularity of the guitar that a Tommy Emmanuel stands out. There are thousands, even millions of aspiring guitar greats. Each encounters the instrument’s stubborn resistance with unique results: note selection is mostly a one-handed affair; strings buzz if pressure is insufficient; some passages are best played with a pick, others require very different finger-picking techniques. As with most skills, what is easy at a slow speed becomes an entirely different proposition when played prestissimo. (Information Technology folks know this as the Big Data 3V — Volume, Velocity and Variety — complexity challenge). Emmanuel understands that technical mastery is not enough. A single note can soar above the rest, its vibrato literally wrestled out of the neck of a wooden box, buoyed by just the right tide of fast runs, harmonics, arpeggios — and rests. Whether Emmanuel the guitarist is shred wizard by nature or nurture, Emmanuel the artist is learned.